You Are Here: Home → Have They Already Located You Using This Technology? If you aren’t worried about your privacy in the United States, maybe you should be. The U.S. is quickly becoming the cutting edge of the use of surveillance technology against its citizens, even more so than many “totalitarian” countries. The ironic thing is that, in many cases, U.S. citizens aren’t as concerned about privacy issues because the invaders of privacy are often companies and not just our government (which does violate everyday Americans’ privacy on a daily and pervasive basis). Amazon is drawing the ire of the American Civil Liberties Union (ACLU) and other privacy advocates after an investigation found that it has been marketing powerful facial recognition tools to police. The tool, called ‘Rekognition’, was first released in 2016, but has since been selling it on the cheap to several police departments around the country, listing the Washington County Sheriff’s Office in Oregon and the city of Orlando, Florida among its customers. Amazon offers the technology to law enforcement for just $6 to $12 a month. 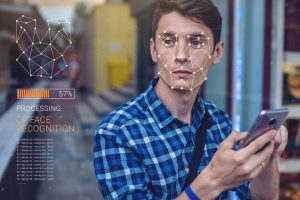 The tech giant’s entry into the market could vastly accelerate development of the facial recognition systems, the privacy advocates fear. Of course, advocates of the use of this kind of technology talk up the potential benefits which, to be fair, are real. Locating a missing child in an amusement park, for example. On the flip side, news agencies used Rekognition to identify celebrities who attended the recent royal wedding, and, while I know all of you are interested in who attended this affair (note my sarcasm), I also think that you would prefer your wedding to be a private affair. It’s scary enough that this technology is available, but privacy advocates are concerned that this technology will start to be integrated into police body cams to identify and track anyone at any time. In other words, if someone in law enforcement wants you in jail, there is almost certainly an excuse that they can use to lock you up for doing something that you didn’t even know was illegal, and Rekognition technology, in real time, will help them find you and lock you up. And you thought Orwell’s vision was a nightmare.